Place the rice, milk, sugar, vanilla bean and seeds in a medium saucepan over high heat and bring to the boil. Reduce heat to low, cover and cook, stirring occasionally, for 25–30 minutes or until rice is tender. Remove from the heat and stir through the cream and extra milk. Place in a bowl and refrigerate for 2–3 hours until chilled. Place the dulce de leche and extra cream in a bowl and whisk to combine. 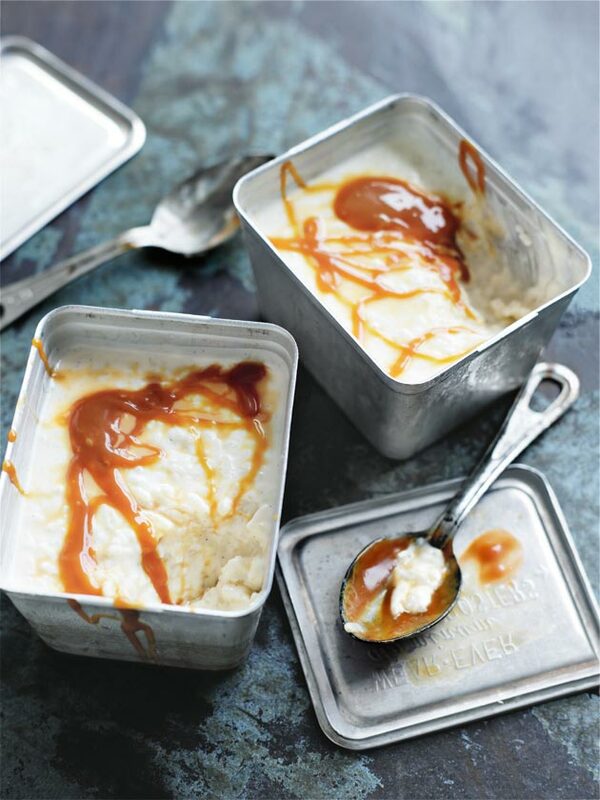 Spoon the caramel over the rice pudding to serve. Serves 4. + You can find dulce de leche at specialty grocery stores. 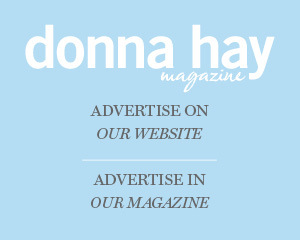 You could also use store-bought caramel filling, available from the baking aisle of the supermarket. You can use any leftover caramel to sandwich biscuits or cake or drizzle over ice-cream. Where can I find the containers in the pictures?